It is definitely "baby season" for raptors. 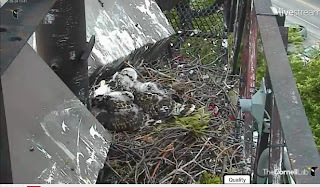 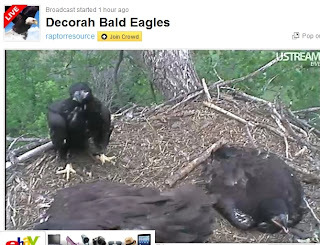 Thanks to the technology available with nest cams, we can all check in and watch our favorite raptor families as they grow. 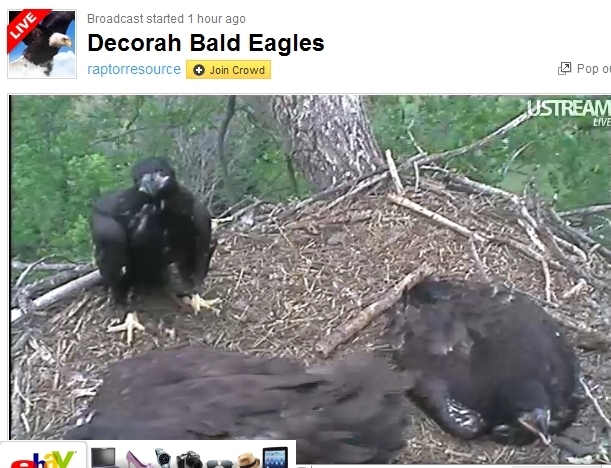 A couple of great cameras: the Decorah Iowa eagles, courtesy of the Raptor Resource Project (see the first picture - they are so big! 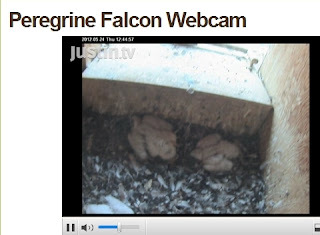 ); peregrine falcon cameras, such as the one showing the family at the Bremer building in St Paul, MN, and three cameras sponsored by Xcel Energy; and a red-tailed hawk camera sponsored by Cornell.